Patrol cars surround the scene of an officer-involved shooting in Long Beach on Sunday, Sept. 11, 2016. 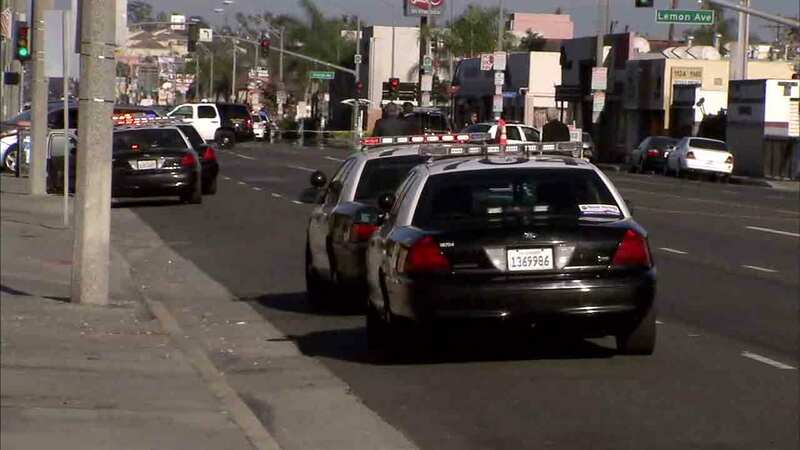 LONG BEACH, Calif. (KABC) -- A suspect in an officer-involved shooting in Long Beach was struck by gunfire and hospitalized on Sunday, police said. Authorities from the Long Beach Police Department said the suspect, who had unknown injuries, was taken into custody. The shooting happened near Pacific Coast Highway and Lemon Avenue, but the circumstances leading up to the shooting were not clear. No officers were injured in the incident, authorities from Long Beach PD confirmed.